Camping Gear | Camping Equipment & Supplies | Kerola’s Campers, Inc.
Bass Pro Shop is a company focused on bringing the best gear possible to the public. The company's founder, Johnny Morris, was tired of subpar fishing gear so he set off cross country to gather the best products possible to sell in his father's liquor store. The company branched out from there into the camping industry, now serving over 75 million sportsmen a year! Bass Pro shops are America's Premier outdoorsman retailers bringing quality and satisfaction to all of its customers. After years of searching for the perfect, all-around sleeping bag, Jimmie Butler (Company Founder) an avid outdoorsman and hunter, was unable to find a bag versatile and comfortable enough to fulfill his needs, so he designed one himself. Over the years, Butler Bag's philosophy has never changed: make it in the USA and make sure it's the absolute best! The company was formed over 25 years ago with an unwavering commitment to making quality products that meet the demands of customers. This commitment remains strong today. Comfort, protection and durability never go out of style. Camco started in 1966 with one employee and one product. Today, over 40 years later, they have more than 350 employees, over 3,000 products and five manufacturing facilities to better serve customer needs. Competitive pricing, superior service, quality products and customer satisfaction are the foundations upon which Camco operates. The friendly, knowledgeable customer service staff stands ready to assist you with any questions. Camco takes pride in meeting the ever changing demands of a challenging marketplace while serving you. After the Industrial Revolution, UCO started manufacturing camping gear in Redmond, WA in 1971. They started by making ski boot buckles and had their first hit product with the Original Candle Lantern. Through the 1990s, UCO released more lanterns and built a loyal customer following. In recent years, we have pursued a more aggressive growth strategy, launching many new products and forging new partnerships. All these great new products have fueled growth and solidified a close relationship with customers. Always built well, always built smart. Case knives have been a testament to American skill and dedication in craftsmanship for a long, long time. In fact, Case had its start in 1889 when 4 brothers started selling their hand-crafted knives along a wagon trail in upstate New York. By 1900 the brothers had incorporated as "W.R. Case & Sons Cutlery Company", and in 1905 they moved production to Bradford, PA where this American icon is still located today. Case has always been a respected presence in American cutlery since its founding, including having been called upon by the government to develop knives for servicemen and women beginning with WWI. With a Collector's Club of over 19,000 active members, Case has surely garnered some famous and important enthusiast, including former President Dwight D. Eisenhower. Specially developed Case knives have even been sent on NASA space missions! Case ingenuity has always been well thought and brilliant. With over 20 uniquely "Case" styled knives, and utilizing materials ranging from bone, stone, and more, Case knives are sure to impress anyone. The Cobb utilizes a truly unique design in the realm of grills, and the Cobb Premier Grill is no exception. It is the latest in the Cobb Grilling systems lineup, and utilized a stainless steel mesh base, stainless steel interior, and stainless steel dome for it's composition - here is a place where a quality design and quality materials reflect the desire to satisfy the customer! The grill is very lightweight - only 10 lbs. overall - and has great capabilities: it cooks for up to 3 hours on only 8-10 regular charcoal briquettes, and can reach temperatures of up to 450 degrees F - allowing you to to barbecue, grill, bake, smoke, boil, or warm your food - ALL THE WHILE the Cobb Grill's exterior remains cool to the touch! All parts of the Cobb are dishwasher safe for easy cleanup when used at home. All of these things combined to bring you a superior product and shopping experience from the brand name you can trust! The strategy that has made frogg toggs the undisputed leader in lightweight, breathable, affordable rainwear and one of the most recognized names in the rainwear industry is simple: listen to your customers! Located in one of the "wettest" parts of the country, frogg toggs was founded in 1996 on the promise of total customer satisfaction and to this day they don't introduce a product, make a change, or commit a resource unless they know it will improve the frog tog brand. Frogg togg understands that a growing market means increased demand for and scrutiny of product quality. Be confident that each and every frogg toggs product will provide you with the quality, performance, and value associated with the frogg toggs brand. Located in Bergsjo, Sweden, Gränsfors Bruks has been hand forging axes and tools of the highest quality since 1902. This legendary forge employs 12 professional smiths that take all the time and care that each of these masterpieces need, before stamping each one proudly with their initials upon completion. Gränsfors axes are slowly forged from a special Swedish axe steel, and the blades are then tempered and annealed to just the right toughness. Then the axe head is properly fitted to the finest quality hickory handles, oiled, and sheathed in a beautiful grain-leather sheath. Each step of the forging and fitting process undergoes careful testing to make sure that each unit meets rigorous standards. When we want quality cookware for home or camp – we have to look no farther than the long standing name of Lodge Manufacturing – a time honored American line of high quality cast iron cookware. Lodge has survived over 100 years as America's leading innovator in cast iron cooking, and is the single reason for the existence of the concept of "pre-seasoned" cast iron, eliminating the pain in the neck of seasoning your new cookware. A perfect example of an American business, Lodge is still owned by the original founding family, and caters to ideals of environmental stewardship with their high-line marks in recycling and giving back, all the while still planted in the town they were founded in! Maglite has been a household name in the United States since the 1950s – hailed for their beauty in design and functionality, Maglite has achieved numerous international awards for excellence (including the Japan Institute of Design and the Museum for Applied Art in Germany). Though he got his start from very humble origins, Tony Maglica founded and grew Mag Instruments, Inc. as a business centralized around the American Dream – and has kept his work pool in the U.S.A. to this very day – though his 850 employees are quite a handful from time to time! Every tool that comes from Mag Instruments is fully developed and tested, only to be released with Mr. Maglica's full consent. As are many products that are carried by Kerola's Camper Store, Mag Instruments hosts a wide array of environmentally aware projects, so that we may all be a little more responsible in our custodianship of our little planet. The Real Deal really is the real deal - highlighting recycling at it's most basic, useful level. Carefully constructed from durable, heavy canvas truck tarps - these products breath new life into a material that has seen it's fair share of ventures through South American rain forests while transporting vital cargo to the peoples of various nations. These bags, totes, packs, hats, and caps all feature unique characteristics that vary entirely from piece to piece - features like frays, holes, patches, fading, stitching, stains, and sometimes even heavy printing - all characteristics that make each and every item completely unique! Most items are designed to be unisex, shabby-chic, and very durable. In 1984, Alex Tilley a keen yachtsman and art dealer decided to make himself a hat that would stand up to the harshest of weather conditions. The hat would also have to offer water and wind resistance, a chin strap, floating capabilities, a classic appearance and above all top quality workmanship. Once the main features were established he began searching for materials to meet his requirements. He centered his research around cotton canvas, a practical and durable material which has many natural advantages. However after manufacturing the initial prototype it was soon apparent the material was too thick, heavy and shrunk when it got wet. After considerable research and experiments Tilley realized by pre-shrinking and boiling the canvas it would eliminate the shrinking issue. 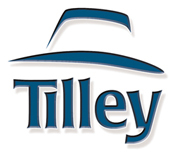 Pre-shrunk cotton canvas became the first of many materials to be used to manufacture Tilley Hats. Victor Axe + Tool started by refurbishing hand tools, and although we continue this as a hobby, our goal has become to provide others with long lasting and well performing tools that will not only be used today, but will continue to be useful and purposeful for a long time to come. To do this, we work with some of the best manufacturers to create undeniably and timelessly purposeful tools. Almost more importantly, we strive to create the proper gear and share the best knowledge to maintain the tools you purchase here, or already own. When you buy from Victor, you buy it for life. Victor Axe + Tool pairs classic design with premium materials and great manufacturing partners to create covetable tools that get the job done. Back in 1941 in Pennsylvania, artist and engineer Frederick Ehrsam of Victor Tool Company saw a need for a single, well-designed tool that could clear brush and blaze trails and thin, trim, chop and prune. The tool he designed was the Woodman's Pal. Professionals in forestry, agriculture and horticulture quickly recognized it as an history achievement. The U.S. Military prized the Woodman's Pal as well. Designated the "LC-14-B", the Woodman's Pal was standard issue from the early part of WWII through Desert Storm. Today the Woodman's Pal continues to be handcrafted right here in Pennsylvania with only the finest American-made raw materials. And this tool is still praised by forest and land managers, surveyors, campers, hikers, hunters, soldiers, handymen, scouts, fishermen, gardeners, and outdoor enthusiasts everywhere. A Zippo lighter is a reusable metal lighter manufactured by Zippo Manufacturing Company of Bradford, PA. US, and was inspired by an Austrian cigarette lighter of similar design made by IMCO. Thousands of different styles and designs have been made in the eight decades since their introduction including military ones for specific regiments.